I wanted to let you know why Small Paws doesn’t require that a home visit be done prior to adoption, and why we don’t allow adopters to come to your homes, or meet somewhere to meet the dogs before adoption. There are several reasons for the policy regarding home visits. 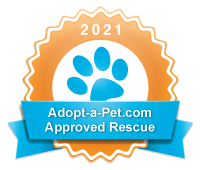 First of all, we are a national rescue organization that has been granted 501C3 not for profit status by the IRS. One of their rules is that we treat every person alike…that we don’t do one thing for one person, and not for another person. If we don’t have a volunteer out in the middle of Timbuktu, able to do a home visit, then we can’t do one in Chicago, where we may have several volunteers. Yes, we could adopt only to larger populated cities, and stop adopting to rural areas altogether, but many Bichons would die if we did this. Secondly, there is no liability insurance anywhere that will cover our 800 plus volunteers, going into a stranger’s home. It can be dangerous to go to the homes of people you don’t know. Thirdly, we have learned over the years that you can learn much more from speaking with the applicant’s vet’s office, and with doing several phone interviews, than you can by actually visiting an applicant’s home. I can’t even begin to tell you how many times we hear from other rescue groups, asking us to help them reclaim their recently placed dog, from adopters who had a WONDERFUL HOME VISIT, but who have proved to be less than desirable dog owners. :( This happens each and every week. People can manipulate how things look in their home for a home visit. People can’t manipulate their histories on how they have taken care of their pets in the past. That’s where we look. Past histories. Were their previous dogs altered? Are their dogs current on vaccinations and heart worm preventative? Did they bring their dogs into the vet’s office for regular wellness visits…and did the dogs appear to the vet to be well taken care of when they came in? Were there ever any suspicions of abuse? I’ve been in some pretty nice homes, with four and five car garages, where I wouldn’t have let them adopt a dead turtle. I have also been in the tiny apartment home of one of our adopters which is located in the projects, in Endicott, New York. Graffiti lines the outside walls. No one gives a better home to that Bichon, than the adopter who lives there. No one. Would you ever have guessed that this Bichon lives in the projects in New York? 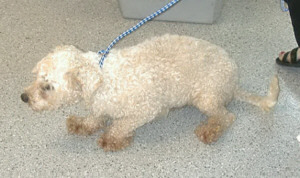 This is a picture of him straight out of the puppy mill. Small Paws places roughly 1000 Bichons each year. Our rate of return is well under one percent. We are doing something right! At the Bichon Bashes that we attend all over the country, we see these adopters and their Bichons! Last year, over 2000 people attended Small Paws Bashes and we got to see them again, and their Bichons. These Bichons aren’t going to bad homes. Some of these homes may not be mansions. Some of them may be spotless, and some may be not so spotless, but they all have one thing in common. THEY HAVE HISTORIES OF TAKING EXCELLENT CARE OF THEIR PREVIOUS DOGS OR THEY WOULDN’T HAVE BEEN APPROVED TO ADOPT FROM SMALL PAWS RESCUE. We hope that this explains the protocol that we have for choosing adopted homes, which works very well and finds excellent, loving homes…with people who have histories of taking great care of their dogs. This process has worked well for us for 11 years now, with a return rate of well under 1%. There is no one in the country that does what Small Paws does, on the scale that we do it!